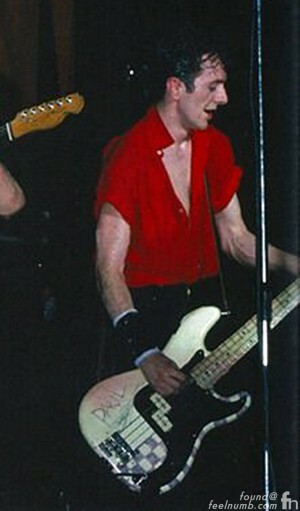 Above he is playing Simonon’s famous etched “Paul” Fender P-Bass. 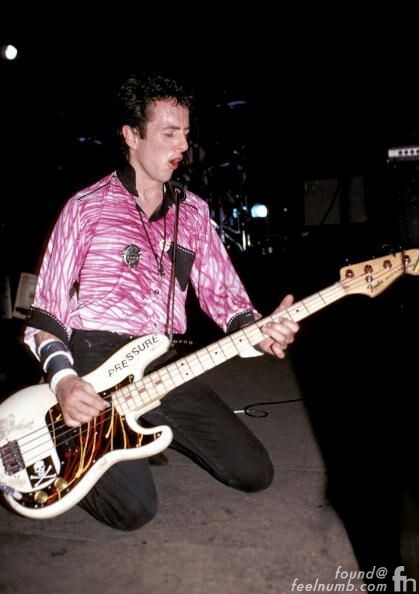 And finally here is Strummer playing the legendary “Pressure” Fender P-Bass that was smashed on the “London Calling” album cover. 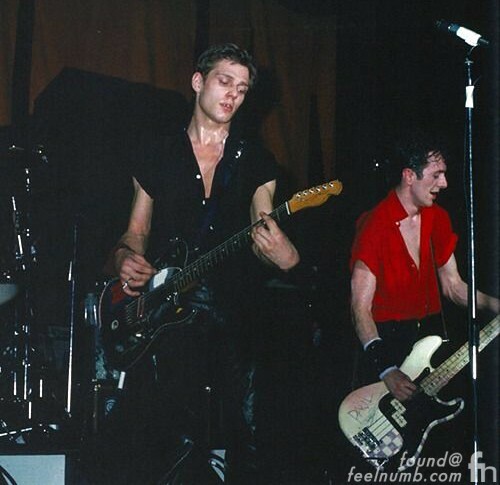 On the studio version of “The Guns of Brixton” they play their normal instruments with Simonon playing bass and Strummer playing rhythm guitar. Check out the cool switch-up when they played “The Guns of Brixton” live on a US television show called ‘Fridays’. 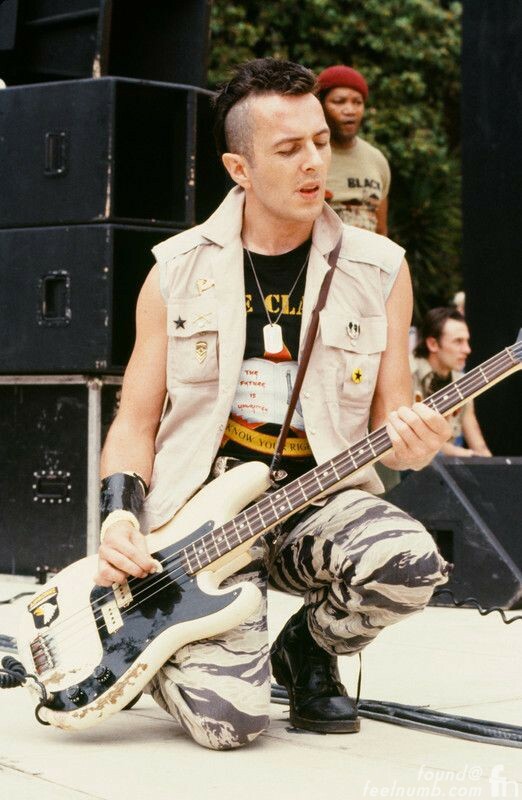 Simonon still plays the etched “Paul” bass when he performs with The Gorillaz. 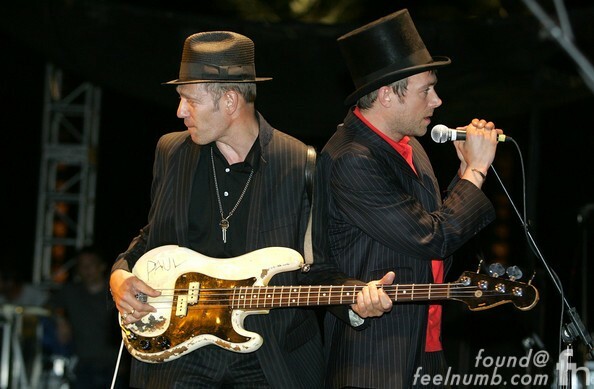 Check out this photo with him with Damon Albarn and the famous bass.